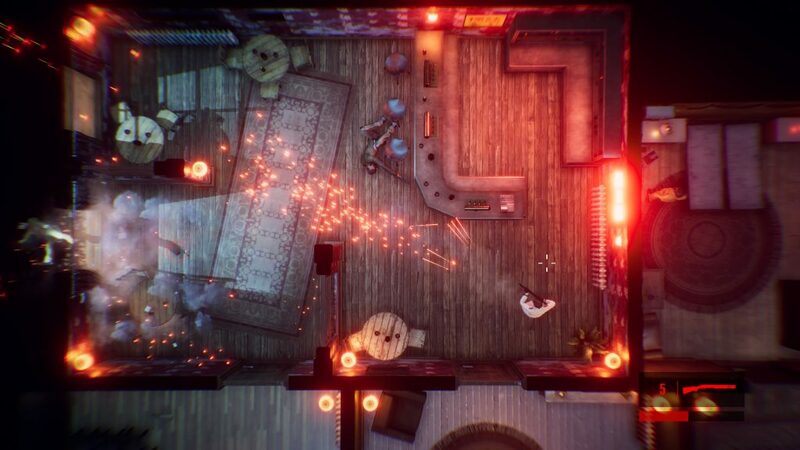 Hong Kong Massacre is a top-down twin-stick shooter from Swedish codesters, Vreski Games, and while we’re no strangers to that genre, it is apparent right away that the developers have done something a little different with this game. If you’re a fan of the 1990’s John Woo bullet ballet style of film-making then you’ll get what Hong Kong Massacre is shooting for right away. You play as a typical Hard Boiled style cop who is on a revenge mission. As is typical of this type of story telling, he’s allowed to leave a trail of corpses along the way without having to bother too much with paperwork. The plot itself is mostly told via text passages and isn’t particularly cohesive or interesting. Each level represents an… well I’d say arrest but it’s really just a series of executions and are you explaining the actions of the previous few days in an interrogation. We soon found ourselves losing interest and skipping the dialogue forward so that we could get into the action. Each level plays out the same way. You’re placed in a room and you have to clear out the bad guys in the rest of the stage. Viewed from a top-down perspective, at a basic level this can be played as a standard twin-stick shooter but if that’s what you want to do then death awaits because your enemies are quick to shoot and pretty accurate. You can’t sneak up on them at and they are happy to shoot you through windows. You can do the same, but the camera’s view means that it’s not always easy to tell how high cover is in and whether or not you can be seen through it. So the trick is to keep moving otherwise you’ll die. Frequently. Actually the truth is that you will die frequently. 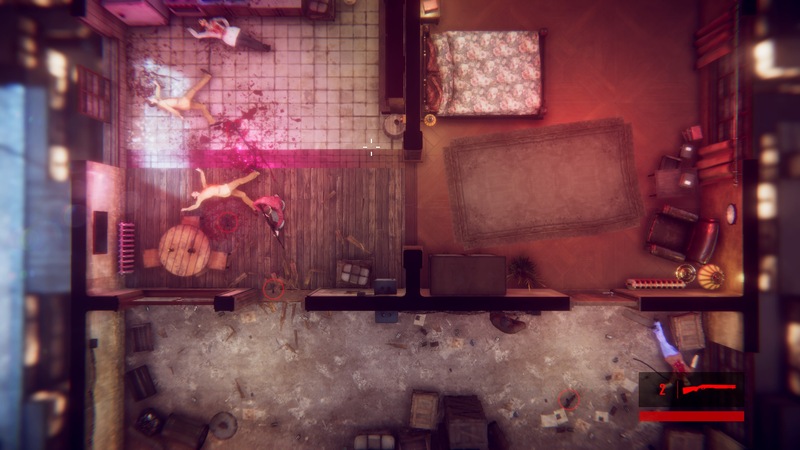 Much like its most obvious peer, Hotline: Miami, the margins between success and failure are thin. From a mechanical point of view, it is sometimes quite hard to tell why one run has gone well and one hasn’t. Luckily there are a few things you can do to put the balance in your favour. In line with the John Woo stylings, you can dive and cartwheel around the place which lets you jump over cover and, more importantly, gives you a few frames of invulnerability. This move is essential if you want to live, especially in rooms with more than one bad guy and it does lead to some cool situations where, for example, you might need to dive across an opening to pick off a bad guy. It works pretty well. The other nod to John Woo comes with the slow motion feature. A meter ensures that you can’t spam it but holding down grants you a few seconds of slow motion which does make killing a fair bit easier. Kills also add to the meter, giving you a bit of extra time to chain kills (not that there is a combo mechanism that we could see). If you ever played the Xbox 360 title Stranglehold, you’ll be familiar with that whole slo-mo, diving and sliding style of gameplay and while it isn’t nearly as stylish here we did appreciate how much more fun the game was when you play this way. Of course there are challenges that pretty much ask you to not play like that but you can unlock these individually rather than having to group them together in one run so you won’t need to do your no slo-mo and perfect aiming runs together. Beating levels, and these challenges, earns stars that can be used to unlock and upgrade your guns. This isn’t particularly dynamic though as there are only four guns (pistols, shotgun, uzi and rifle) and four upgrades for each (rate of fire, movement speed, clip size and so on). Upgrades carry over to guns that enemies carry and you’ll be able to pick those up when you kill them which is a nice feature. The presentation is pretty slick for this type of game. While the cutscenes are awful with ugly graphics and terrible v-sync issues, the in-game action is very well presented with detailed graphics and good lighting. Everything looks nice and when the bullets fly and the scenery is destroyed, you do get that John Woo kind of vibe. 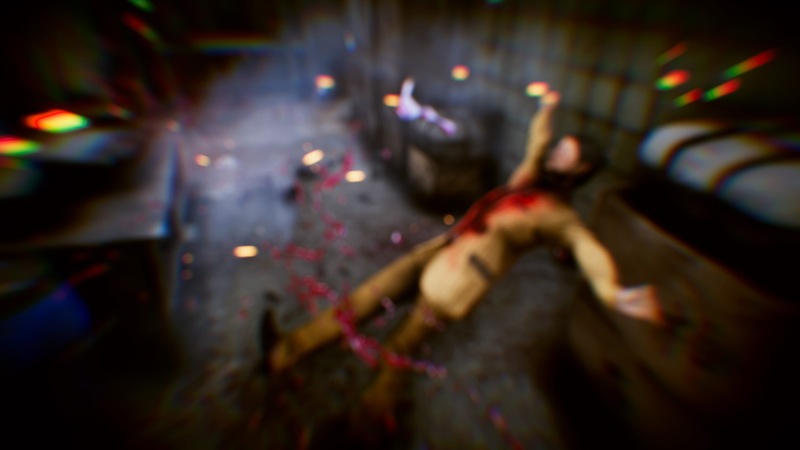 The camera is maybe a tad too close which helps the look but does you no favours when an off-screen enemy you didn’t know about shoots you. An arrow indicator points to the nearest threat which helps a bit but there’s definitely a bit of an issue there. A manual zoom in/out option would have been great or the ability to scroll the screen around a bit. 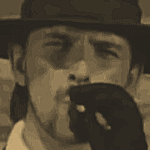 Sound design is quite perfunctory with the sound effects and music doing their job but not wowing you. There’s no voice acting either. On balance there’s a lot to like about Hong Kong Massacre but it does have several limitations. It is arguably a tad too hard which extends what would have otherwise been a very short life span. There are 35 short levels but most of your game time will be spent retrying them. The restart times are super quick, which is great, but the repetition does get a bit annoying. Also, the levels and enemies are very samey having been built with lots of reused assets. Even the game’s five boss battles all feel recycled too. In many ways once you’ve seen the first few levels, you’ve really seen the whole game. 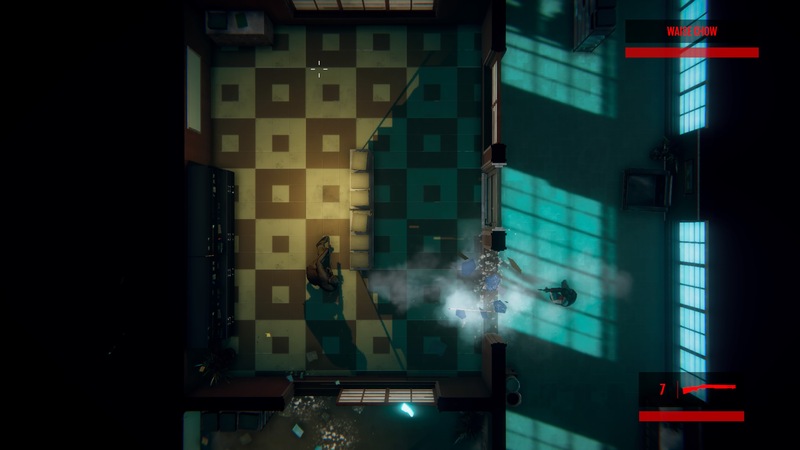 If Vreski had been a bit more experimental with the weapon loadouts, even employing a roguelike structure to the game, or if they’d really added variety in terms of level design and environments, then Hong Kong Massacre could have been amazing but in the end it’s just a bit too limited to really make itself essential. Apparently, Hong Kong Massacre had a lengthy development but we can’t help feeling that a few months more spent on level design would have reaped massive benefits. This is a good game for sure but it feels like it’s just a few design decisions away from being great. Hong Kong Massacre is a competent and well-presented twin stick John Woo 'em up but is hamstrung by a lack of variety and some frustrating gameplay elements.